Reflections and Ruminations: Success does not always lead to contentment, but so many still hope for it in life. Success does not always lead to contentment, but so many still hope for it in life. There is a certain drive in life that propels us as human beings to better our state in life. Obviously, this has a good side to it, because we only have to look at the quality of our lives here in the 21stcentury as compared to that 100 years ago. The very fact that you, dear reader, are able to read on your device, be it on a desk or one something handheld just moments or days after I posted it on early Monday morning, is evidence of this. It doesn’t even matter if you happen to be halfway across this planet. And this progress is only at the level of cyberspace, without taking into consideration the advancements of the other fields of life which impact the way we live. It is understandable then, that so many seek some kind of success in life, to better themselves and to attain a standard of life that is somewhat higher than one was born into. In competitive societies, this need can be so insatiable and besotting that it easily makes it the primary goal of one’s life. June is, in Singapore, a time when schools are on a mid-year month-long break, and churches often organize camps for their youth in the various levels of catechism. During these camps, confessions are often provided for the campers to give them an opportunity to make their confessions if they have not been regular penitents on their own outside of these specially organized camps and activities. We priests can get a good idea of the kind of burdens, trials and anxieties that plague our youth in schools from the confessions that we hear. While we can never use this information directly, we can hold talks and conferences for youth that have broad themes that deal with general issues that are real. I have noticed that a very recurrent and troubling issue is that of envy of the success of others. Granted, it is not just an issue or problem facing our teens. It is a very common issue for so many people, adults included. Those who have not or are unable to attain success are the ones often dealing with the issue of envy, where they look upon the success of others with the proverbial green eye. Those who are humble will know that this isn’t a virtue of the human spirit, and bring this up in confession. My response to this is to often invite the penitent to develop the ability to admire. We don’t do that often enough, nor do we do that well enough. Admiring someone’s else’s goodness, beauty, success or achievement and to be truly happy for the other person is the antidote for envy. Leaving it at the level of admiration and not harbouring any desire to covet it for oneself is what is sorely lacking in us as human beings. It takes humility to want to be able to do this, and this is, I truly believe, something that leads a soul to holiness and sanctification. But there is also a downside for the one who has attained the success and fame. 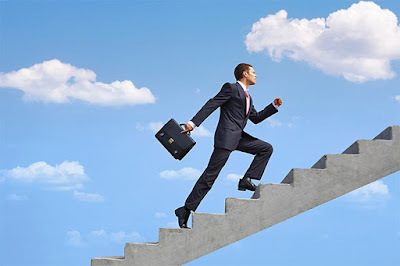 It can be intoxicating, and like the climb to the top of the ladder of any success, the one at the top is always in a very unstable and precarious position. It becomes worse when one identifies one’s self-worth and value with the success that one has attained. Just as it is true that ‘heavy is the head that wears the crown’, it is also true that the one at the top of the ladder can end up having fitful nights of restless sleep because he or she is always concerned of who is trying to shake him or her off her perch at the summit. It isn’t by any means coincidental that all three of Jesus’ temptations in the dessert by the devil are various forms of entitlement, privilege and power. Jesus was asked to turn stone to bread when hungry, tempted by status and earthly glory, and thirdly by taking advantage of his being the Son of God to jump off the top of the temple. The implication in this temptation is that the Son of God doesn’t need to take the stairs but can expect to be saved the trouble and the be served. Jesus doesn’t cave in to any of these temptations because he has a very strong memory of what his baptism assured him – that he is God’s dearly beloved Son in whom God is well pleased. This assurance gave him the confidence that the Son of God’s being loved so completely by the Father wasn’t going to be changed by the fact that he experienced physical hunger, nor was it going to be diminished by nations rejecting him, and if he had to take the stairs like everyone else, it didn’t mean God loved him any less. It was this confidence that allowed him to live with fidelity and faithfulness right to the very end of his life. The end of Jesus’ earthly life was hardly an image of success. Yet, it is depicted so openly, loved so greatly and displayed so proudly in homes, schools and churches throughout the world. Its success is so hidden, that even in some churches which preach the gospel of success and the gospel of prosperity, this message is missed by a huge mile. It isn’t any surprise at all that Jesus’ first beatitude is one which declared for the poor a certain privilege of happiness. For one who has a very narrow definition of success, this beatitude will always be bewildering and troubling. In the past week, the world saw how two very popular and highly successful people ended their own lives. Fashion icon Kate Spade and celebrity chef and TV personality Anthony Bourdain committed suicide despite their wealth, success and fame. No one can say for certain exactly why they chose to end their lives the way they did, but one thing can be said for certain – success and riches alone are never a true benchmark of happiness. For us Christians who are baptized, we need to be always remember with great gratitude that our greatest identity comes from being God’s beloved sons and daughters. Living our lives in response to this great privilege is our ultimate success because this success is the only success that we take with us when we leave this earth. All other successes will be left behind. So it’s everyone’s goal in life to strive for happiness. As you have mentioned in your example of Anthony Bourdain and Kate Spade - in the eyes of the world, they were icons of Success, rich and famous and so should be happy, yet their untimely end at their own hands refuted this. The frantic acquisitiveness of the wife of an ex-Prime Minister who owned multiple branded watches and handbags came to mind- why did she do it? - all things and pleasures of this world seemed hollow once they have been possessed. Why did happiness elude them? Could it be that now their possessions possessed them? Reflecting on this, I was grateful to know Christ and felt comforted by the wisdom of the first beatitude (as you have said above) It is good, useful and even necessary to have for one’s use and convenience the goods of the world to uplift one’s living conditions and to help others but one must remember not to be too overly attached to them, for this would weigh one down and the fear of losing them becomes a nightmare. I feel that detachment 9applies not only to things or material goods but also to people, relationships, work and even to our obsessive thoughts. In this way, one becomes poor. It purifies one’s intentions and makes way for God’s presence in one’s life. Thank you Fr. God bless you. I think this sharing, while all true and wonderful, lacks compassion. I feel it's more a a self-validating piece. You've fitted, Father, the facts so nicely into God's truth, but I'm not sure how all of what you say makes sense if I frame it against another truth, specifically the two people I've known in my youth, parishioners at St. Ignatius, who had taken their lives. What then? Are they not beloved son and daughter of Christ? "Living our lives in response to this great privilege is our ultimate success," you say, but tragedies do happen, because the ways of the world are so difficult, so stressful, so incomprehensible. Thank you for your courage in writing this response. I am sure your sentiments are not unique to you, as suicide is getting to be more and more common these days. It is never an easy issue to deal with, and probably never will be. I have written on this before in this blog of mine and from different angles. I have written on it from the angle of a, as you alluded to, compassionate God. My point of departure was from the fact that Jesus descended to the dead after his death. It teased out the theological and spiritual significance of what this deliberate action of Jesus means for all of us, including those who have chosen to take their own lives, because this meant that there is no place that one goes to that God’s love is out of reach. There are many such reflections on death by unnatural means, and I suppose they do offer the needed ‘succour’ that you seek. But this particular blog of mine this week comes from yet another angle, which doesn’t so much seek to give ‘succour’ to those who seek a healing balm because they have lost either friends, relations or loved ones through suicide. Instead, if you read it differently, it serves more to give the confidence and boost the failing faith of those who are still alive and are struggling with finding purpose in life. The bottom line of those of us who have been baptized in Christ is precisely this – that if you think that there is nothing to live for, and feel so invalidated, purposeless and find life meaningless, think again! Your very baptism has had God calling you his beloved, and that gives you the greatest validation anyone can give, and any material success can bestow. Don’t overlook this great grace. Its tremendousness is so easily lost of so many who hardly pause long enough to let its truth have a deep impact on their life direction and life goals. When this truth is lost amidst the sea of other ‘successes’ or ‘loss’, despair can then easily set in. This is what I was trying to prevent. I am sorry if this sounded at all self-validating and self-righteous. In fact, it was meant to be just the other way around – God-validating, and being so grateful for God’s righteousness. Maybe Viv, you are still at that stage where you are nursing a raw wound – caused by loss and grief. Nowhere in my blog did I even suggest that people who chose to take their lives are not the beloved sons and daughters of God (not ‘of Christ’, as you said, because that is a theological error – none of us are children of Christ). Even people who sin terribly are not ‘disowned’ by God because he never disowns his own self, as scripture says. More likely, it is that at the very point of suicide, they somehow overlooked that truth and instead of listening to their conscience, were overwhelmed by their issues, pains, hurts, and anguish. This is the tragedy that I am hoping to prevent by my writing. It is understandable that the loss of these two friends of yours colours and affects negatively the way you approach things and read things, especially when it is related to this difficult issue. Give God space and time to heal those wounds and in his time, I pray the colour of God’s love will return. You have my prayers.